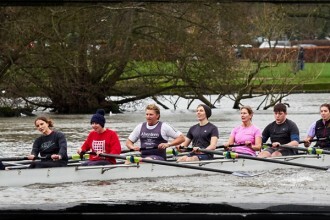 The 2018 Fours Head of the River Race Took place on 3rd November with over 400 crews competing in the first of this years major head races that take place on the boat course. 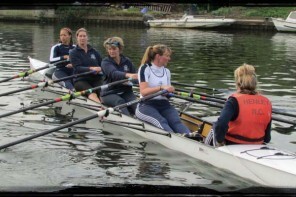 Henley Rowing Club had three boys crews and five girls crews racing. 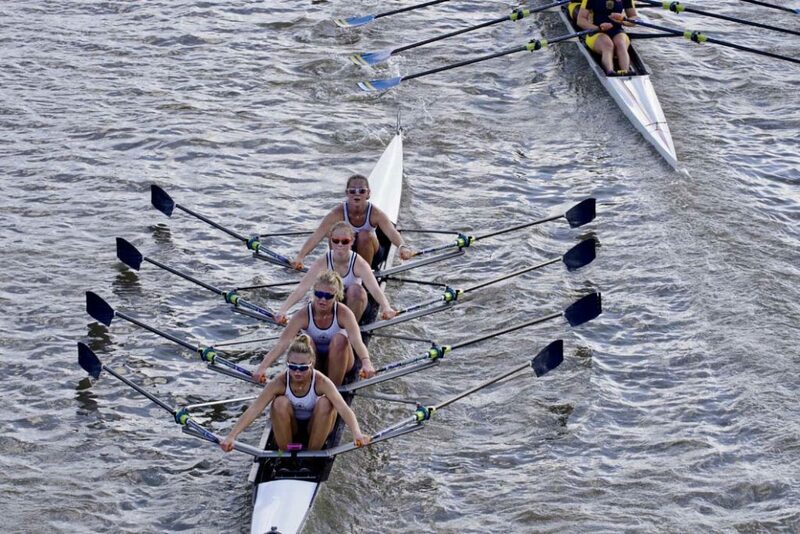 The four and a quarter mile course from Mortlake to Putney turns through 180 degrees and on Saturday the last bend after Hammersmith saw the crews facing difficult conditions over the last mile as the wind hit the outgoing tide. 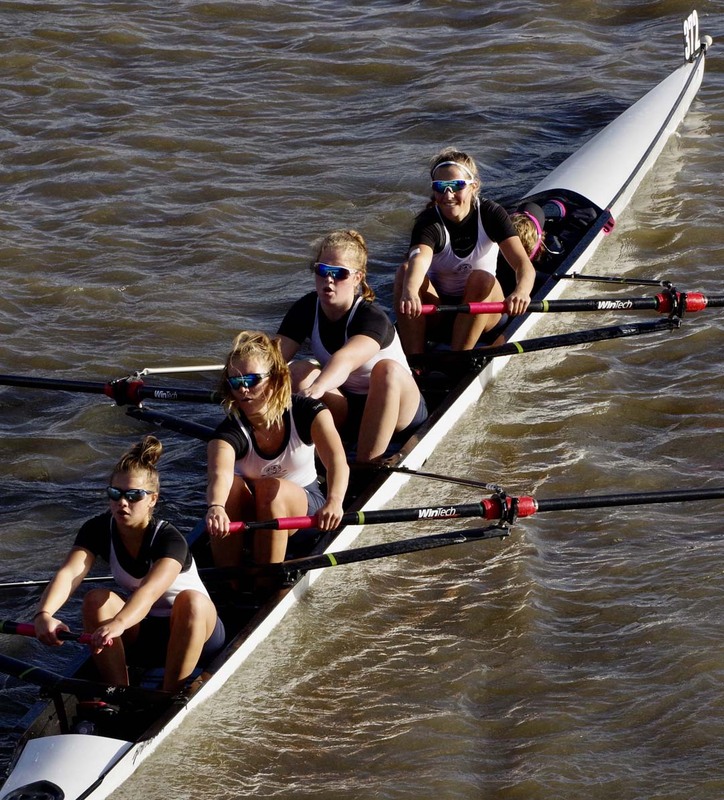 In junior girls quads Maddy Pollard, Charlotte Rowley, Sophia Hahn and Daisy Bellamy won the event with a very narrow margin of victory .9sec over Marlow rowing club this made it the fifth time in a row that Henley have won this event. In the coxless fours event the Henley crew of Hannah Hills, Holly Cookson, Emma Berry, Carla Russell, where a close second to Lea RC. 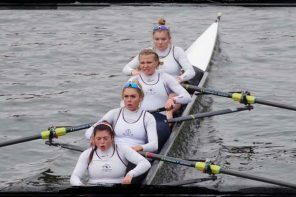 In Championship coxed fours the Henley crew Charlotte Williams Issy Bird, Della Luke, Pheobe Fletcher cox Ella Nolson took a third place behind a Kingston four who continued their unbeaten run from last year and in second place last years Henley Women’s winners Putney High School. In the “Challenge” event for coxed fours the younger members of the junior squad, Sophie Underwood,Izzy Cotton, Georgie Pollard, Emilia Fulford Dobson and cox (tbc) put in a good performance to finish a close second behind Marlow. Unfortunate end to race for top junior crew. The boys entered three quads in the Junior Championship category with mixed results, the “A” crew set off strongly and were within reach of the Leander crew who were the eventual winners when they had ‘an equipment failure’ as the organisers described it. They were in fact squeezed out by another crew and hit a buoy causing one of the blades to break and ending their race. The “B” crew of Sam Beattie, Luke Marshall, Grant Taylor and Dan Crick and “C” crew of James Wallace, Alex Carr and Ollie Taylor rowed well in sometimes challenging conditions to reach 5th and 6th respectively .